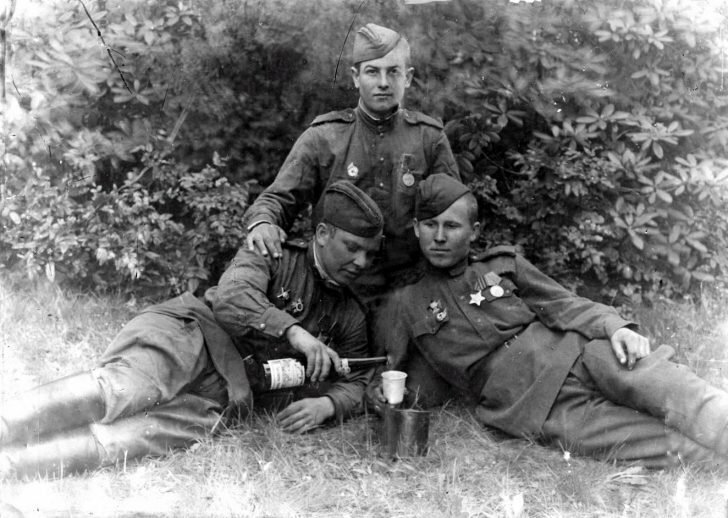 Soviet soldiers drink wine for the Great Victory – it was announced Victory over Nazi Germany on May 9, 1945. Private soldier Vladimir Alekseevich Milyutin – scout reconnaissance brigade of self-propelled guns of the First Ukrainian Front. Vladimir Milyutin was born in 1914 on the front since June 23, 1941. The soldier passed a military road from Moscow to Potsdam. Source: ZS of the Ulyanovsk region.